Drop — What can I do to maximize battery life? 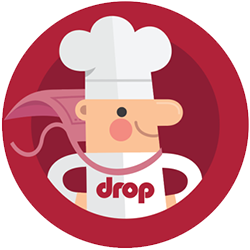 Drop Scale powers off automatically after a short time of inactivity. In general, the battery consumption is very low when using the scale with our recipes. If you are predominantly using the basic weighing function (the Scale screen) on the other hand, we recommend navigating away from this screen or turning off Bluetooth when not actively weighing something since this feature uses the most battery power. Why doesn't Drop Scale work with iPad 1 and 2? Where can I purchase a new battery?